Imagine creating a business card that people will never throw away, much more, something that will be of tremendous value to them. But how can you guarantee they’ll never throw your business card? 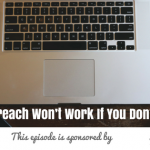 My guest today, Nick Raithel, shares with us how exactly you can do this. Derived from a concept called How to Write a Book in 7 Hours, Nick teaches a powerful instrument you can use as a seller. Nick helps sales professionals to get them into a position where they’re welcomed by people. For the purpose of branding and getting that “thug” factor, creating your own book in a way becomes your business card. How is writing a book relevant to your selling? Having your own book makes you visible to your market and this leaves them with a major impact. This way, you get to educate them and proves you’re an expert. Create an eBook even within your organization. Contribute a chapter or compilation and still get that authorship even when you’re in your organization. What message does this send out to your organization? That you’re demonstrating your expertise and it makes the company stronger as a result. Think about why you want the book. What is the purpose of the book? Once you start with this, the topic usually naturally develops. Look around at people in your industry. Success leaves clues. So look at what others are doing and try to figure out from there. 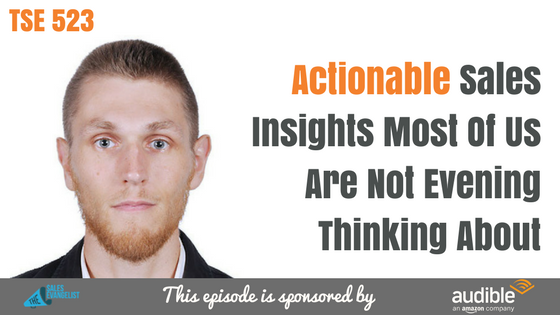 Think about your experiences and unique insights that others don’t have. Use your unique, personal story that would set you apart in your market and cause people to listen once you reach out to them. Find your story or insights within. Document them and turn that into a book. Have that perception and people will expect it. Luxury brands can charge the prices they do because they have that image and perception which they’ve worked very hard to create. They are the recognized authorities. 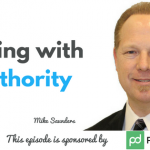 As with sales, you can charge what you want if you are the authority in your niche. Be willing to ask for more than you’re comfortable asking for. We tend to undervalue ourselves and overestimate others and other circumstances. Stand up for yourself and believe in your ability to charge a particular price, otherwise, who will? Put in the work. Develop yourself. Build the footprint in your market. Then you’re going to be a whole lot more relaxed on your sales calls because you know you did the work you had to do. Use adversity and turn obstacles into one of the best things that ever happened to you. Reverse the negative energy and turn that into positive energy to become stronger and get better results. “When the grey heron is pursued by its enemy, the eagle, it does not run to escape, it remains calm, takes a dignified stand, and waits quietly, facing the enemy, unmoved. You’ve got more in you than you get yourself credit for. Stand up for yourself and really embrace your uniqueness as a sales professionals. Embrace that in carving out your niche within your market. Have confidence in yourself and proceed with that. Connect with Nick on www.ContentCorps.net.